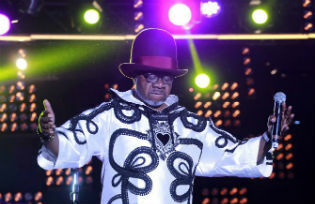 Papa Wemba, star of the third generation of post-1945 Congolese musicians, has died. 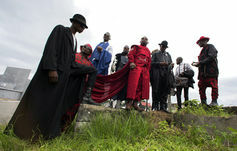 He exemplified Congo's cultural knack of creating distinctive, non-western ways of defining modernity. When I did my research on the spread of Congolese music in Africa between 1945 and 2000 I found the Congolese, whether from one side of the river or the other, were people who really knew their music and its history. I met many of Papa Wemba’s colleagues and contemporaries. It never ceased to amaze me how anyone I talked to could narrate a shared musical narrative, a kind of creation story, a history in which four generations of Congolese musicians marched through the years after 1945 spreading Congolese music all over Africa in a way no other African country could rival. They were launched at the same time that Mobutu hosted an international black diaspora musical jamboree in Zaire in 1974. James Brown was invited to perform as part of the amazing musical extravaganza put on for the world title boxing fight between Muhammad Ali and George Foreman known as the Rumble in the Jungle.